Rooms and apartments, rustic and elegant at the same time with terracotta impruneta, terracotta tiles, chestnut beams and Umbrian-style furniture 800. To relax in a family atmosphere. The dining room, with seating for 80 people (40 inside and 40 outside), overlooks the gardens and outside terrace offering guests a wonderful view of the unspoiled Umbrian hillside. 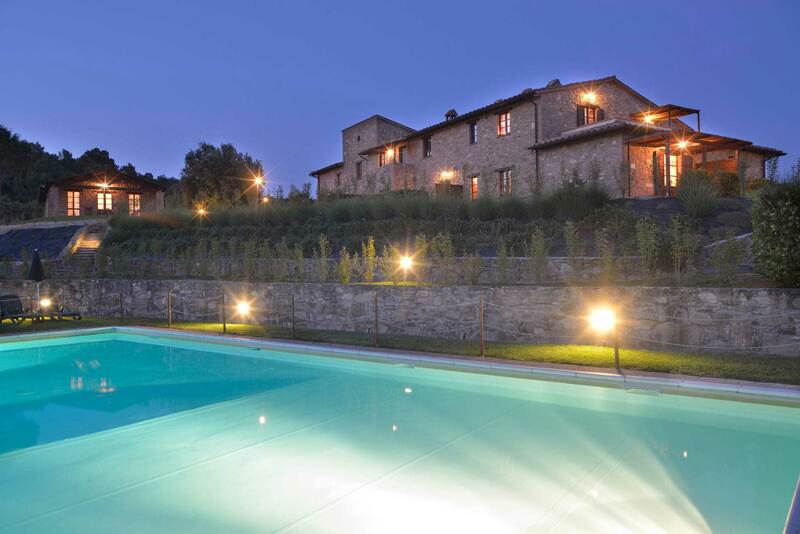 Inside the estate of Forte Sorgnano there is a glass structure, with a panoramic view, that includes a wellness area with a Jacuzzi pool 4-6 pax and a shower. Who has never dreamed to getting married in a castle? In a dream location, rich in history and immersed in an untouched nature? Sorgnano Castle is all of it. A Lombard Castle of over thousand years which dominates the Valley of tuderte, an exclusive wedding location. 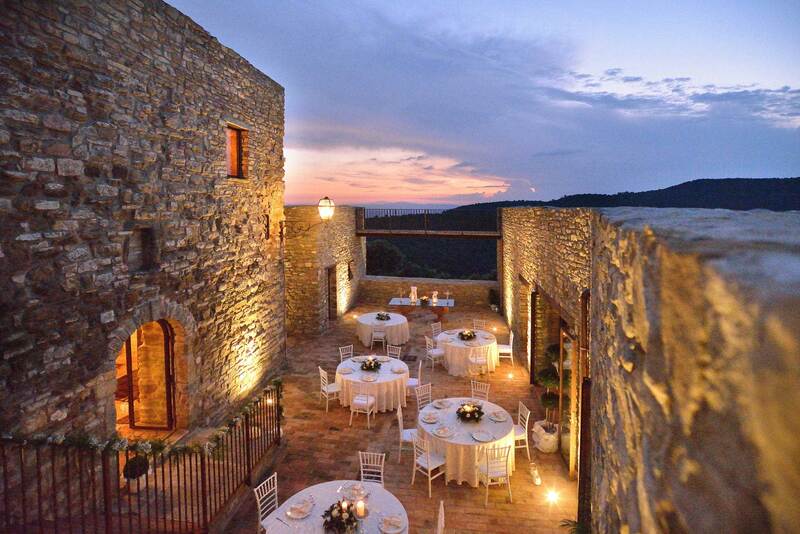 Getting married at Forte Sorgnano, in its lovely salons, it means treating yourself to a unique experience and make your guests live an unforgettable day. The most beautiful day of your life deserves a unique place, a special place. 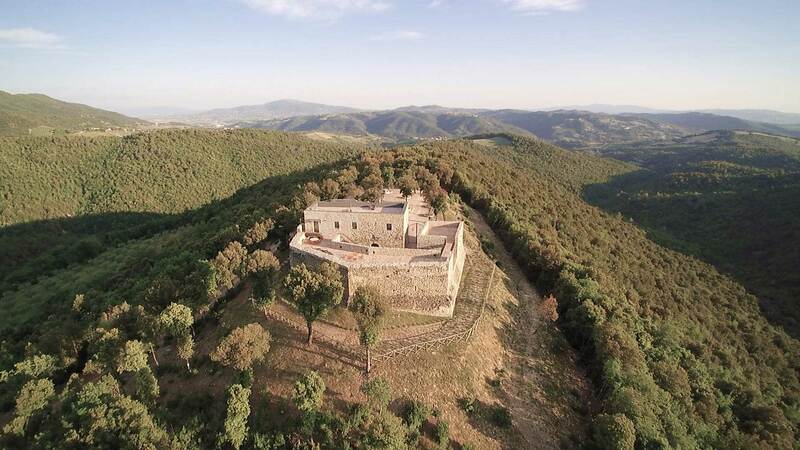 As the castle of Sorgnano"
Sorgnano Castle offers a lot of possibilities for those who want to relax doing some sports, or for those who desire to immerse themselves in typical experiences of our tradition. Each of our customer is important so we thought to create for you customized proposals that reflect all of your needs.